Today is the day before the big race – my first half marathon and the furthest distance I’ve ever run in one day (although I came pretty close to it with a 11 mile run and a 2 mile hike on the same day). I’ve been training for this since January when I had an operation on my knee which meant that my proposed half marathon on my birthday in March was not feasible. 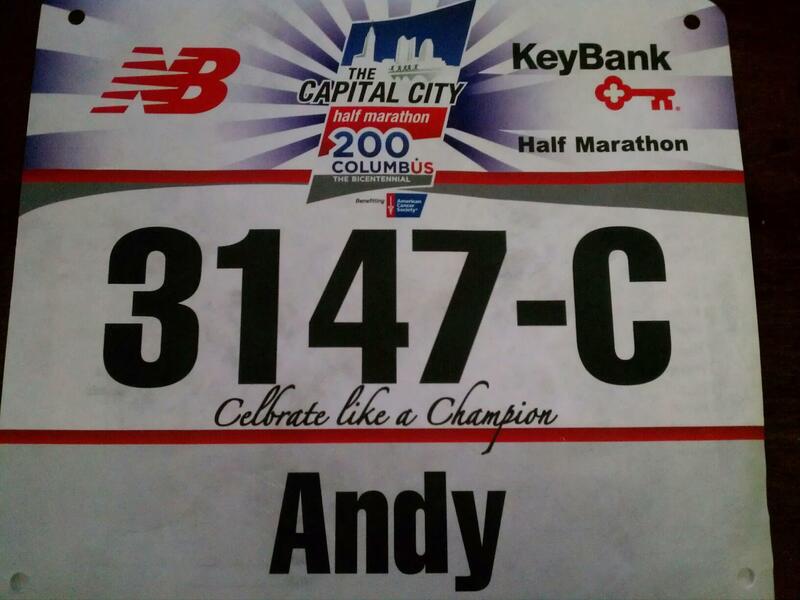 However, the Capcity Half Marathon in Columbus was the next best choice – a comparatively flat course, local and I’d have some other friends there. Since Jan 10th – my first measured walk of .4 miles, after the operation I’ve run 169.97 miles and walked/hiked 30.73 miles. They may not seem a lot for some of the more experienced and longer runners (and it’s less than I should have run on my training plan) , but it’s a long way for me and a great improvement to my health from last year. Yesterdays run, the last one before the race was particularly tough – it was the shortest I’d run in a long time but also the hottest (75 degrees 4 hours after running so I’m not sure what it was at 6.30pm). It’s not much fun running in the heat and having luke warm water to drink. I’m hoping Saturdays weather will be a lot nicer although – its going to be between 55 and 79 at the moment. (Meanwhile in England it’s 42). It was nice at the Expo this afternoon – outside in the shade was pleasant and it wasn’t too bad in the sun so hopefully tomorrow will be better. Pasta tonight for the traditional carb loading (but the first time for me) and an early start – they recommend being downtown by 630am but if everyone else gets there then…… What time are you getting there for? 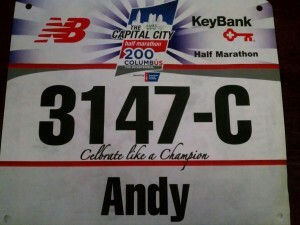 Hopefully I meet up with everyone at the race but no idea where yet – possibly at the CRC van? The gps is on charge, phone on charge, water bottles in the freezer, swedish fish purchased, alarm clock set, ipod on charge, new tunes added to a Half marathon playlist and I think I’m set. Good luck everyone – hope you get a good nights sleep, have been drinking water today and see you tomorrow!